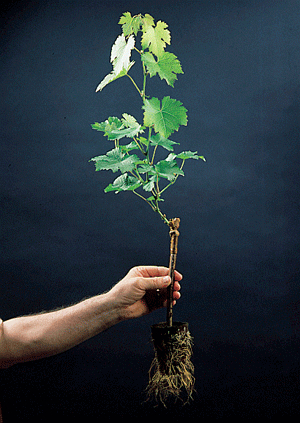 Fertilpot has proven successful in the production of grafted vines for viticulture. Plants are grown in optimal, controlled conditions. Plant are culled, sorted, and selected before shipping. No delay from transplant shock. Easy replacement of lost plants during the same season, no age variation. Root system is healthy, intact and active. No spiraling / girdled roots. Ideal for all root-stock with slow, small or weak root development. Ability to order specific root-stock / scion combination until mid spring for planting the same year. Ability to hold potted plants in the vineyard before planting (store in shadows without wind and be careful to keep moist). Ability to plant in wet conditions. No compression of back-fill needed, Fertilpot is secured to soil simply by watering. Composition promotes good root penetration: 80% wood fiber, 20% peat is much stronger and more porous than containers made primarily from peat. Ability to order specific root-stock / scion combination of your choice until mid spring for same season planting. Specific graft combination must be ordered one year prior to transplanting. Requires irrigation (either drip, or 2 to 3 batch watering in the first two months). Autumn or wet season plantings may not require irrigation. Low irrigation requirements after transplanting (for plantings in winter and early spring). Summer irrigation is required. Natural root structure is preserved. Roots are active and growing when planted. Very important for root-stock with limited root vigor. Risk of root rot and stress increased by manual root pruning prior to planting. Handle growing plant material with care. Avoid damage to active root structures exposed passing through the Fertilpot. Dormant plants are less fragile during transporting and transplanting. Unsuccessful transplants are quickly identified, and easily replaced. 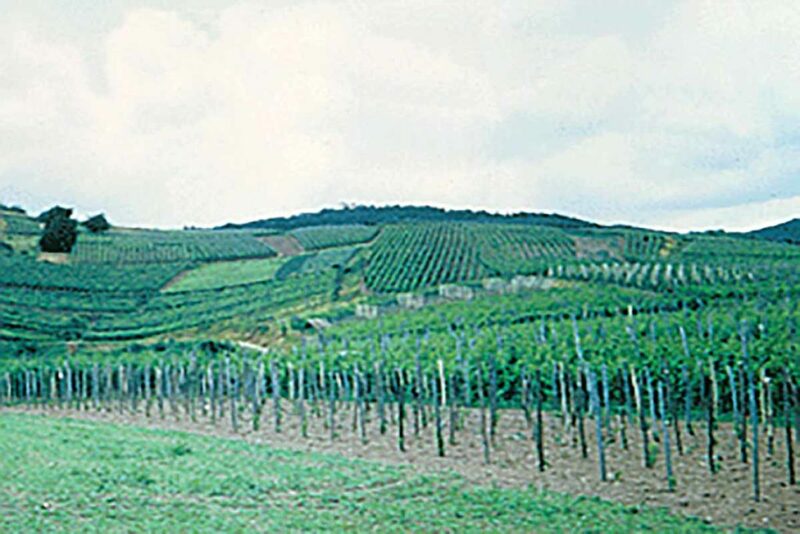 Long term field uniformity and plant density is assured. Unsuccessful transplants often not identified until it is too late to replant with bare-root material. 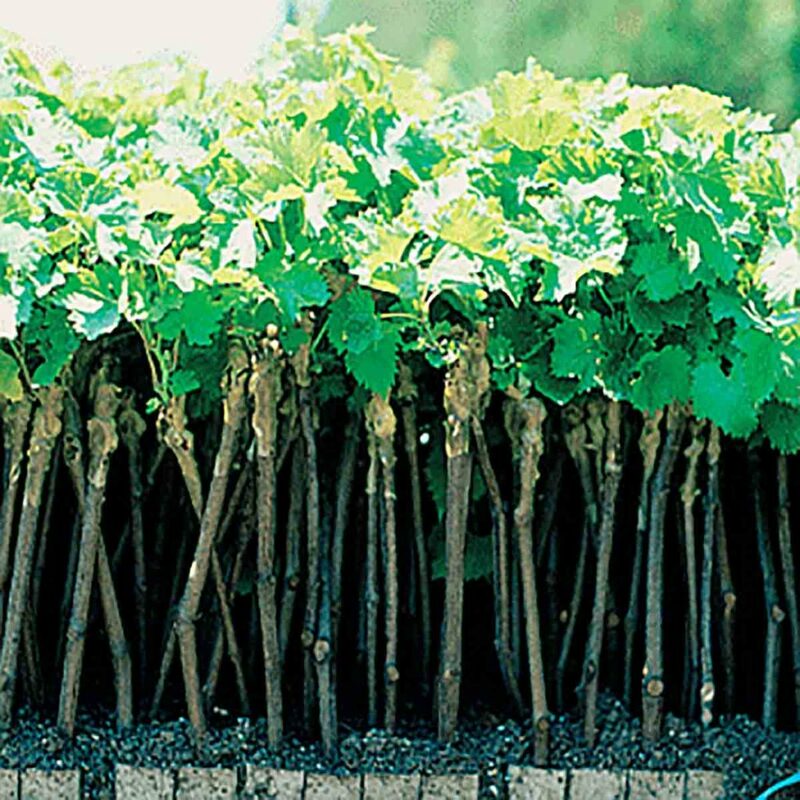 Plantings will have gaps, or vines of differing ages if replaced. If you need to hold your plants before planting in the field, place in a shaded location protected against wind. Keep the pots moist. For transplanting in hot temperatures, irrigation is required. If not using drip irrigation, pour 5 liters of water on each plant after planting, two to three times every 15 days. Take care to cover the Fertilpot completely when planting to avoid any wicking issues. Do not compress the soil mechanically to avoid damaging the root structure. Watering will do this gently. Remove weeds to avoid competition for resources. If needed, attach the new plantings to a stake. Late transplanting in summer is possible with Fertilpot, but you may experience some losses with high temperatures, especially if drip irrigation is not available. The ideal transplanting season for Fertilpot is from late spring to mid autumn.